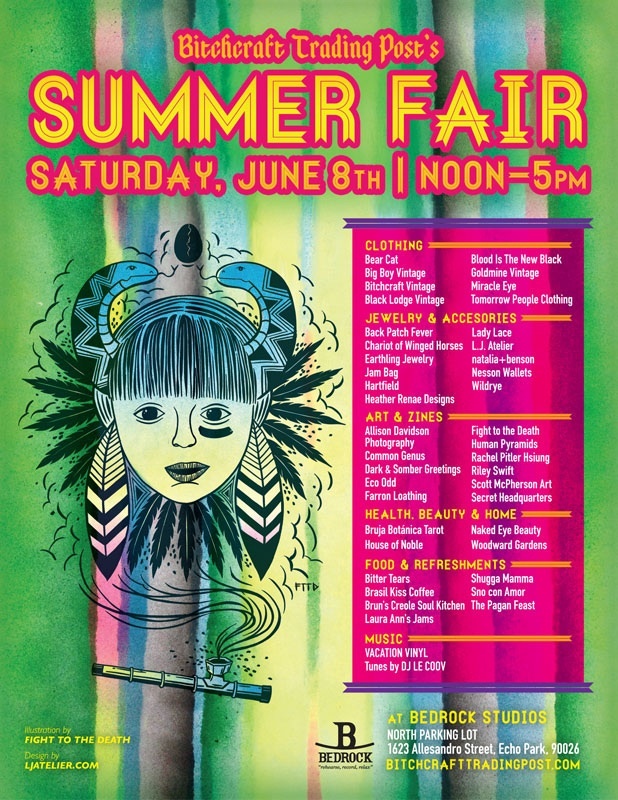 Come join the Bitchcraft family Saturday, June 8th at Bedrock Studios in Echo Park for another epic Summer Fair! Celebrate Summer Solstice early — eat, drink, and support local artists! We will have over 30 local artisans with goods for everyone. Every year, Pearl & I, under the name Fight To The Death, release a limited print for the event as well as t-shirts, zines, and more! For more information on the event, check out and join the Bitchcraft Trading Post Summer Fair Event Page. Here’s our new collaborative drawing titled The Left-Eyed Path, which is an allusion to Eastern/Tantric interpretations of left-handedness. . . but we see it as more of a spirit of creativity as well. Enjoy! Tantra is a set of esoteric Indian traditions with roots in Hinduism and later Buddhism (an outgrowth Dharmic tradition). Tantra is often divided by its practitioners into two different paths: dakshinachara and vamachara, translated as Right-Hand Path and Left-Hand Path respectively. Dakshinachara consists of traditional Hindu practices such as asceticism and meditation, while vamachara also includes ritual practices that conflict with mainstream Hinduism, such as sexual rituals, consumption of alcohol and other intoxicants, animal sacrifice, and flesh-eating. The two paths are viewed by Tantrists as equally valid approaches to enlightenment. Vamachara, however, is considered to be the faster and more dangerous of the two paths, and is not suitable for all practitioners. The usage of the terms Left-Hand Path and Right-Hand Path is still current in modern Indian and Buddhist Tantra.